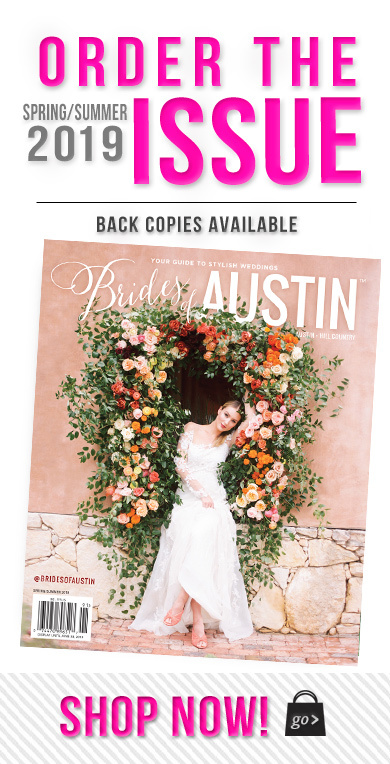 In a beautifully intimate setting adorned with fresh autumn florals, Sarah and James said “I do” in a beautiful fall wedding captured by Austin wedding photographer Penelope L’Amore Photography. 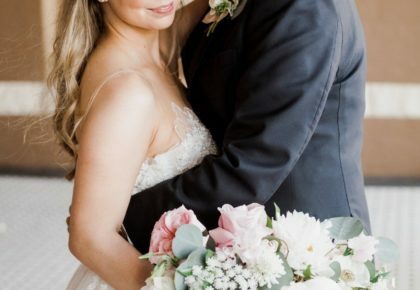 Enjoy the seasonal wedding inspiration as you peruse this pretty gallery! Sarah and James met on a Caribbean cruise while both vacationing separately with their families. They met while shooting hoops on the ship’s basketball court and instantly clicked. Throughout the vacation, they wound up spending lots of time together. 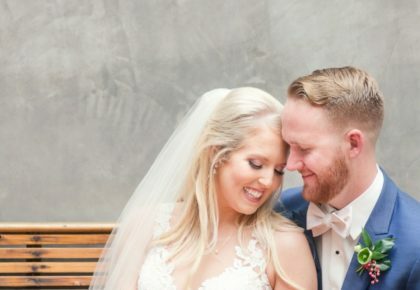 They shared a lot in common, but a big difference was their living situation – she lived in Arkansas and he lived in Austin. By the end of the cruise, they knew they found something special and decided to explore the relationship further. After the cruise, they visited each other frequently and when the time was right, Sarah moved to Austin so they could be together. They both agree that destiny brought them together. The couple took a lovely Christmas vacation to Vail, Colorado. During the escape, James brought Sarah to a beautiful, scenic bridge where they admired the view for a bit before he surprised her by getting down on his knee and popping the question!